Summary: In order to further enhance the business service ability of E-Commerce team, establish a good corporate image and enhance the professional quality of cadres and staff, on the afternoon of March 16, the Human Resources Department of China Transport Group organized a business etiquette training for enterprises. 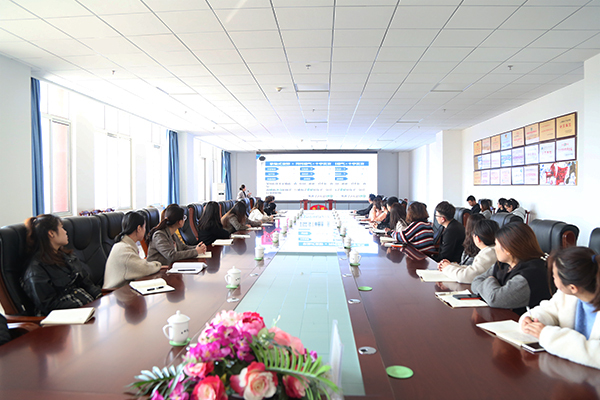 Li Zhenbo, Executive Vice-President of China Transport Group and General Manager of E-Commerce company, attended and delivered a speech, and the training was hosted by Feng Yuyang, head of Human Resources Department of the group. More than 40 business personnel of the group's e-commerce companies participated in on-site training. 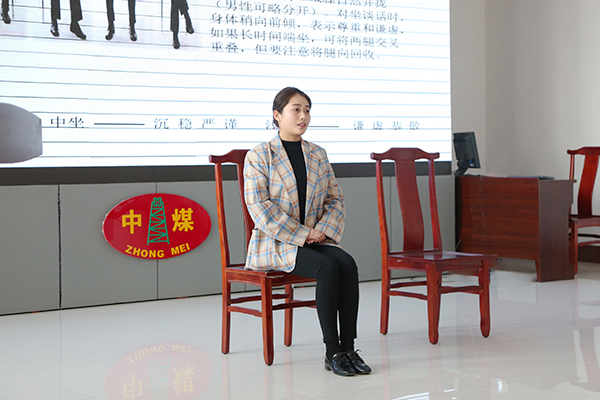 In order to further enhance the business service ability of E-Commerce team, establish a good corporate image and enhance the professional quality of cadres and staff, on the afternoon of March 16, the Human Resources Department of China Transport Group organized a business etiquette training for enterprises. 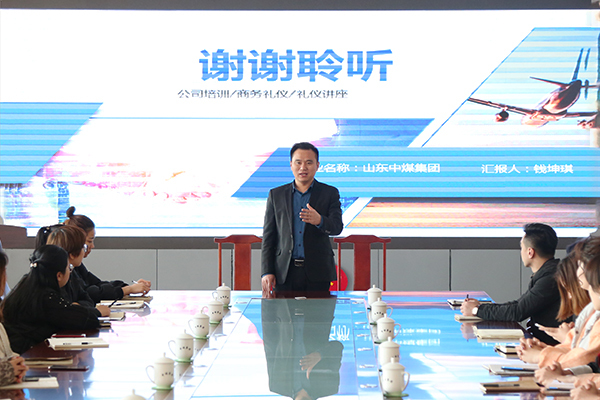 Li Zhenbo, Executive Vice-President of China Transport Group and General Manager of E-Commerce company, attended and delivered a speech, and the training was hosted by Feng Yuyang, head of Human Resources Department of the group. More than 40 business personnel of the group's e-commerce companies participated in on-site training. 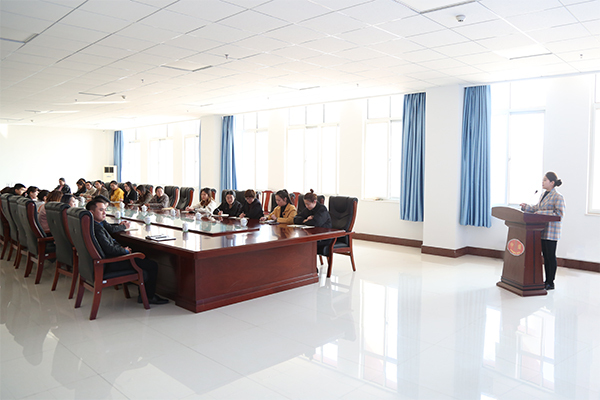 Qian Kunqi, the office of the CPC Committee of China Transport Group, was the main speaker of the training course. On the training site, through vivid language and splendid demonstration, Mrs. Qian systematically explained the related content of business etiquette reception from the four aspects of appearance etiquette, manners, office etiquette and seating etiquette in business contacts from the outside to the inside, and through on-site interaction, let the students demonstrate on-site, so that we can have a more intuitive understanding of business etiquette, throughout the course. Rich, professional and operational, people have expressed that they have benefited a lot. Through training, we can have a newer and more comprehensive understanding of business etiquette, further recognize the importance of business etiquette in daily work, and play a very positive role in improving the comprehensive quality of employees. After the training, Mr.Li made a summary speech. He fully affirmed the significance and effect of this business etiquette training, and asked every employee to internalize the training content in mind and externalize in action, to form corresponding behavior norms and apply them to future work, to build a more professional team, to provide more standardized and high-quality services for domestic and foreign customers!